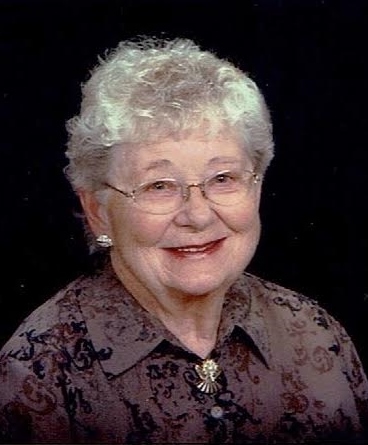 Margaret Moderegger was born March 4, 1930 to Samuel A. DeNeui and Marie (Berens) DeNeui in Sioux Falls, SD. She grew up in Chancellor, SD until 6th grade when the family moved to Wagner, SD. After graduating high school, Margaret moved to Sioux Falls in 1948 where she resided for 70 years. In 1956, Margaret married George Moderegger whom she had met while they were both working at Wilson Trucking Company. They were blessed with two children, Patricia and MaryJo and notably was a wonderful homemaker, mom and wife. Margaret had a strong faith and loved the Lord. Among many things people loved about her, she was known for making bread twice a week, greeting all with a smile and caring for all who passed through her door. Margaret is survived by her daughter: MaryJo Moderegger; and her sister: Florence M. Kuemper; niece: Rhonda and her family. There were many friends, especially Michele Holien, Renee Brooks and their families. She is preceded in death by her husband George, daughter Patty, her parents and brother Sam. Visitation will be Thursday, March 15, 5:00 PM at Barnett-Lewis Funeral Home with a Rosary at 6:30 PM. Mass of Christian Burial will be Friday, March 16, 10:00 AM at the Cathedral of St. Joseph.